Mary Wiles is a vibrant multi-instrumentalist, award-winning songwriter and vocalist who has won the heart of the Pacific Northwest over the last 20 years. Head and shoulders above most, Wiles has won a slew of songwriting contests from the likes of Billboard and plays six instruments in her shows. Engaging the audience with endearing country blues, and folk-rock originals, Wiles adds even more spice with legendary Americana songs and bluegrass favorites. Blazing through an entertaining mix that highlights her violin, banjo, blues harmonica, mandolin, guitar, keyboards and award winning vocals, Wiles’ gives and wins all with each performance. Wiles brings her original award winning, hard hitting, and heart warming songs that will paint a movie screen of positive energy. All ages will enjoy the honest sincerity and light-hearted fun that flows from her lively performances. She is often compared to Barbara Mandrell for her talent and showmanship. Mary has performed from venues such as the Goodwill Games and the Puyallup Fair (the world’s 10th largest), to the Country Music Television Stage, and famous Bluebird Cafe in Nashville. She has performed many grandstand concerts such as Expo ’86, and has opened for stars Loretta Lynn, Tracy Byrd and the 60’s hit making group, “The Association”. Wiles has released two original CD's and is presently working on her new album. Singles from the most recent CD, Why Not Take a Chance, completed in Nashville on the Bluetail Records label, have done well on the airwaves. These singles steadily rode several Top 10 national and international radio charts for four years, with the last two singles radio hits charting all the way up to numbers 3 and 4! Mary Wiles is a unique and outstanding artist. Your audience will be drawn to your venue to enjoy and remember her performance! 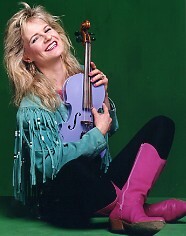 Contact us today to have Mary Wiles perform at your event!